Earlier this week, on July 27th, the CMP held the 2016 Vintage Sniper Rifle Match at Camp Perry. This unique event is a two-man team competition using scoped rifles of WWI and WWII Vintage. 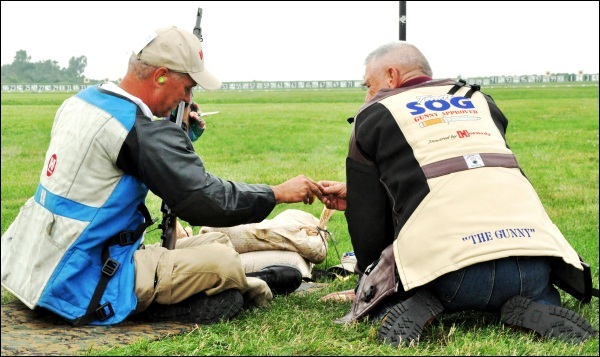 This has become of of the most popular rifle matches held at Perry, with 259 teams competing this summer. Many competitors use some version of the M1903 Springfield, but you’ll also see scoped M1 Garands, K31s, Mausers, and even a Lee-Enfield or two. (Semi-Auto shooters are scored separately). This year the Vintage Sniper Match was won by the “Yogi & BooBoo” family team of Silas Fentress and Wesley Fentress, with a 396-13X score. Close behind was runner-up duo Donald Schedler and John Watson (394-13X). Winning the semi-auto division were Brian Dobish and Clayton Maugans (373-8X). 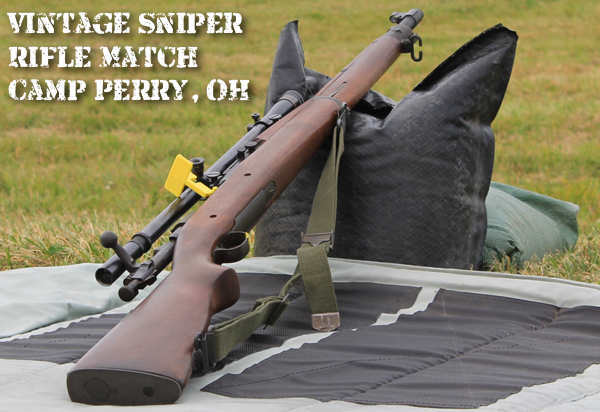 CLICK HERE for 2016 Vintage Sniper Rifle Match Results (Select from List). 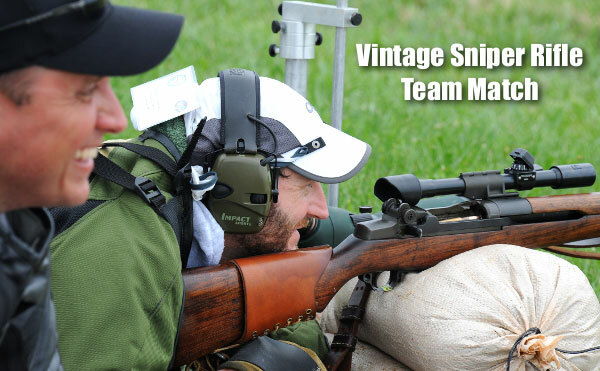 Share the post "Vintage Sniper Rifle Match Draws 259 Teams to Camp Perry"
Do you have “fuzzy sight syndrome”? Are you frustrated because you can no longer see both your iron sights and your target sharply? Here’s a product that can help. Lyman’s new EyePal is basically an adaptation of aperture or “peep” sights (sometimes called “diopter sights”). The EyePal works by restricting the viewable image to a small-diameter circle. This improves depth-of-field dramatically, which in turn keeps everything in focus, both sights AND Target. This principle has been used for some time with the Merit adjustable optical disc that attaches to shooting glasses with a rubber cup. The EyePal does much the same thing — for a lot less money. The EyePal is a modern adaptation of the century-old peep sight, which some folks call a pin-hole sight (remember those pin-hole camera experiments back in school?). 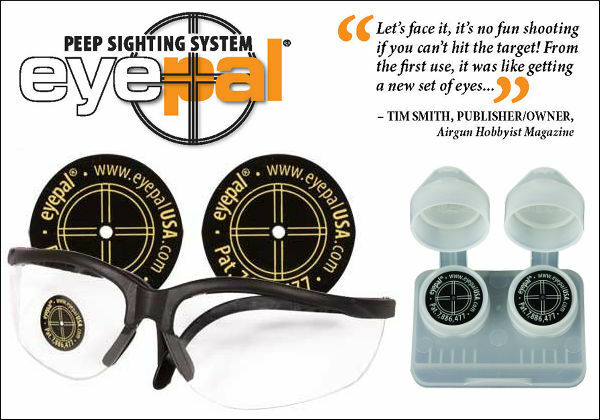 The EyePal enables you to simultaneously see the target, your front and rear sights — all in focus. EyePal stick-on apertures are made of a static cling material. This allows EyePals to be easily placed on safety eyewear and prescription glasses without marring the surface or leaving a residue when removed. EyePals are inexpensive (about $25.00 per set), easy to use, and long-lasting. Share the post "Lyman EyePal Stick-on Peep Sighting System Can Aid Vision"